The Nineties was one of the coolest decades in music. There were angst-ridden grunge sounds on one side and feel good rock alternatives on the other, and then everything in between. Collective Soul and Gin Blossoms are great representations of how great the nineties were…And yes, they're taking us back to that remarkable era, live! 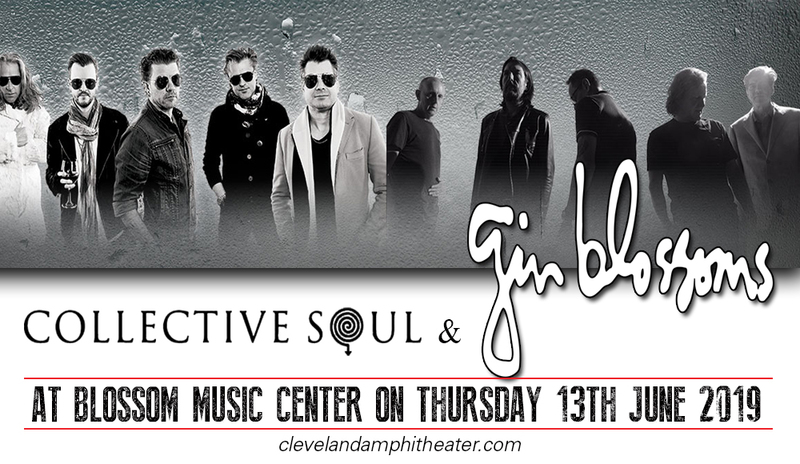 Collective Soul & Gin Blossoms are taking center stage at the Blossom Music Center on Thursday 13th June 2019. And did we mention that Collective Soul is coincidentally celebrating their 25th anniversary?! All the more reasons to party like it's 1994! Don't miss it, book your tickets now! The rock anthem "Shine" catapulted Collective Soul to global fame. It is hailed as one of grunge and alternative rock's most defining songs of the nineties decade. Other chart-topping hits from this guitar driven band include "Heavy," "Precious Declaration" and "Listen." The jangle-pop alternative sound of Gin Blossoms thrust them into the limelight where a throng of adoring fans sing-along to their catchy chart-toppers which include “Hey Jealousy,” “Allison Road,” Until I Fall Away,” “Mrs. Rita,” “Found Out About You,” “Til I Hear It From You,” “Follow You Down,” and “As Long As It Matters”. They are said to have their heydays in the 90s, but they never really stopped playing their music on the road. As these bands go on this double-headliner tour, they can't help but express mutual excitement. “COLLECTIVE SOUL is one of the most consistent bands of our generation, they Rock, and girls dig ‘em, declares Gin Blossoms singer/guitarist Robin Wilson. “I’ve been hoping to tour with them for years. It’s gonna be a great summer.”, says guitarist Dean Roland. The bands' excitement trickles down to their fans who can't wait to feel the 90s vibe all over again. Get your tickets now!